“One of the best things about college life was the food” – said no one ever. That is until recently when colleges stepped up their food game and started bringing world-class cuisine to their student bodies. College and university dining directors are tasked with delivering nutritious, flavorful meals that appeal to their young, discerning foodie clientele. While not all dining departments have mastered the course on “Healthy and Delicious Dining 101,” some are beating expectations by tapping into today’s food trends – specifically the increasingly popular cuisines of Southeast Asia. “Today’s students want convenience and diversity,” said Ken Toong, PhD, Executive Director of Auxiliary Enterprises at the University of Massachusetts Amherst (UMass). “They want food [from] around the world, whether it's Latin American or Southeast Asian.” Indeed, food trend prognosticators, such as Bon Appetít magazine regularly feature recipes from the region, like Laotian larb, and Thai kare-kare. Toong says that what appeals to millennial and Gen Z consumers are “more bold flavors, more spice, and quality.” But the plant-forward focus, and healthy ingredients are what appeal to campus dining directors. So, Southeast Asian cuisine is a great way to satisfy tastes with on-trend foods that students crave and with healthy ingredients that directors want to serve. One common ingredient in this cuisine that delivers both flavor and nutrition is peanuts, and dining directors are using it to their advantage. Students at the University of California Santa Barbara (UCSB) not only have the scenic luxury of stunning vistas and the Pacific Coast, they are also fortunate enough to have an innovative dining program that focuses on high quality, nutritious meals. The dining team leverages the popularity of Southeast Asian flavors and dishes to serve healthy meals like pad-Thai noodles with peanuts and fire-oven baked Thai-style peanut pizza. On the Eastern coast of the U.S., the auxiliary services department at UMass has found similar success using Southeast Asian-inspired cuisines to influence their nutritious offerings. 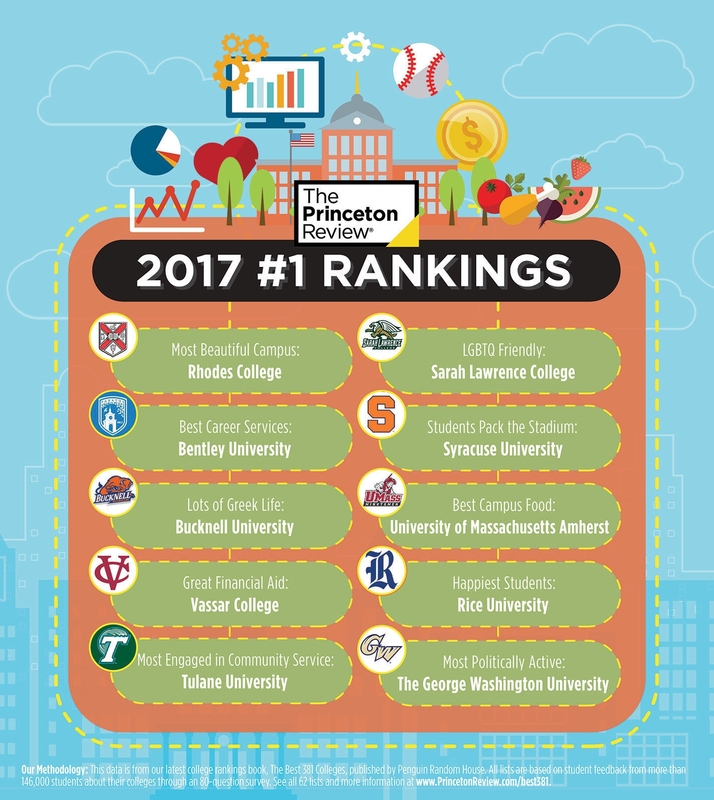 They are so successful, in fact, that they were voted the number one school for “Best Campus Food” from the Princeton Review. Not only do they serve on-trend foods, they also engage students with an interactive dining program that includes guest chef lectures and cooking demos. “We work with them to teach them about food literacy, teach them about nutrition, and healthy eating,” said Toong. One such presentation came from Chef Chai Siriyarn of Marnee Thai restaurant in San Francisco during National Peanut and Nutrition Months in March. After watching his cooking demo on traditional Thai dishes, UCSB students enjoyed his heritage cuisine as part of the evening dinner menu. From chicken praram with peanut satay sauce, to Miang Kum, a traditional Thai snack of ginger, coconut, peanuts, shrimp and spicy sauce wrapped in spinach leaves, students were treated to a feast of tasty and nutritious foods without ever leaving campus. While campus dining was for many a less notable part of college life, today’s students are enjoying healthy, tasty, trendy meals that rival some of the best restaurants in town. When it comes to the problem of serving healthy meals that students want to eat, these colleges have found the solution by featuring popular, global cuisines using nutritious and flavorful ingredients, like peanuts. Try Chef Siriyarn’s recipe for Miang Kum to get a taste for what this fine-dining college is serving. Recipe courtesy of Chef Chai Siriyarn, Marnee Thai, San Francisco, CA. 1. Toast shredded coconut on a sheet pan in a preheated 325 °F oven until golden brown and crisp (about 15 minutes). Stir occasionally to ensure even toasting. 2. Place shallot, ginger, peanuts, lime and dried shrimps in separate mounds on a serving platter. Set aside. 3. Wash and cut spinach leaves, use only large, nice-looking ones. Set aside. 4. To make the sauce, in a small pot, dissolve sugar and coconut sugar in ¾ cup of water. Bring to a boil and reduce to low heat. Cook for about 10 minutes to make a thick syrup. 5. Wrap shallot, ginger, galangal and shrimp paste for the sauce in a piece of foil and toast in a (375 °F) oven for 30 minutes. 6. In a blender, add the toasted ingredients and toasted coconut meat for the sauce with ¾ cup of water to facilitate blending. Puree until the texture is smooth. 7. Add the blended mixture to the syrup, along with the ground dried shrimp for the sauce and fish sauce. Mix well and cook another 8-10 minutes over medium heat. The sauce should become thick. Cool until well chilled. 8. To serve, place a spinach leaf on a plate with the back facing up. Add a couple pieces of shallot, ginger, peanuts, lime wedge, dried shrimp and some toasted coconut meat on the leaf. 9. Top with the sauce and wrap with your hands. The whole wrap should be eaten in one bite to get the combination of flavors from the ingredients.